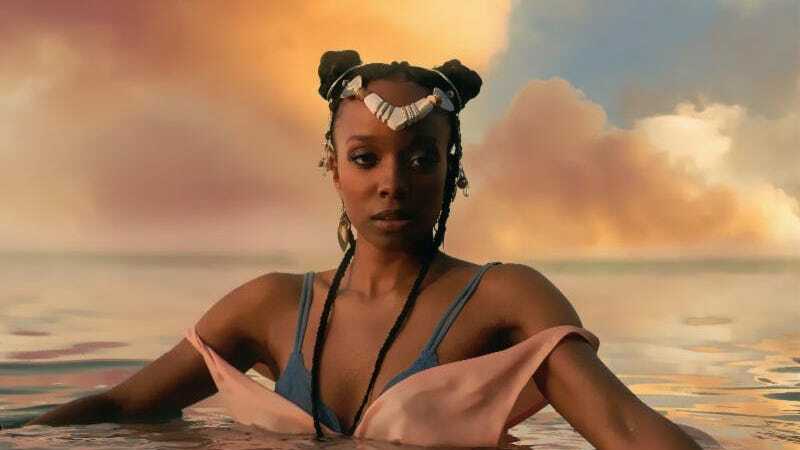 Chicago musician and poet Jamila Woods, whose excellent debut album HEAVN came out last year, and Chance the Rapper are calling on Chicago public high school students to help make their new music video. The video is for Woods’ song “LSD” featuring Chance, which is an ode to Chicago. “A lot of people get Chicago wrong,” she said when she first released the song. “I’ve developed this protective feeling about how we’re portrayed, and at the same time I’m acutely aware of the issues we face and the root causes of these issues.” Chance and Woods are frequent collaborators and in the past Chance has featured her prominently on his songs “Blessings” and “Sunday Candy.” You might also remember Woods as being featured on Macklemore’s “White Privilege II” last year. That the two artists would look to Chicago high-schoolers to make a great music video is no surprise considering how involved both are in arts programming in the city’s public schools. Woods is the Associate Artistic Director of Young Chicago Authors, which offers art and poetry programs to students, and Chance famously donated $1 million dollars earlier this year to the city to support arts and after-school programming.